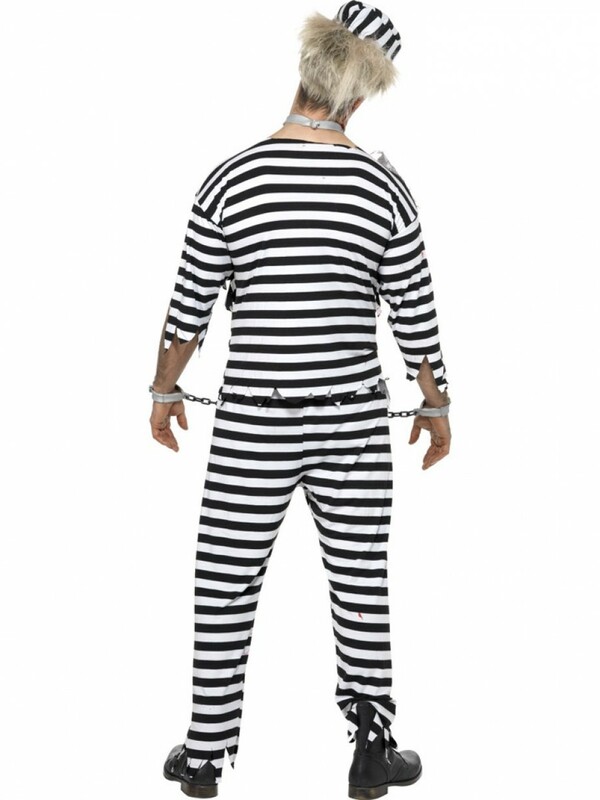 A complete Zombie Convict Costume - amazing value for this complete Halloween Outfit with Top, Trousers, Latex Chest piece, Hat and Chains! 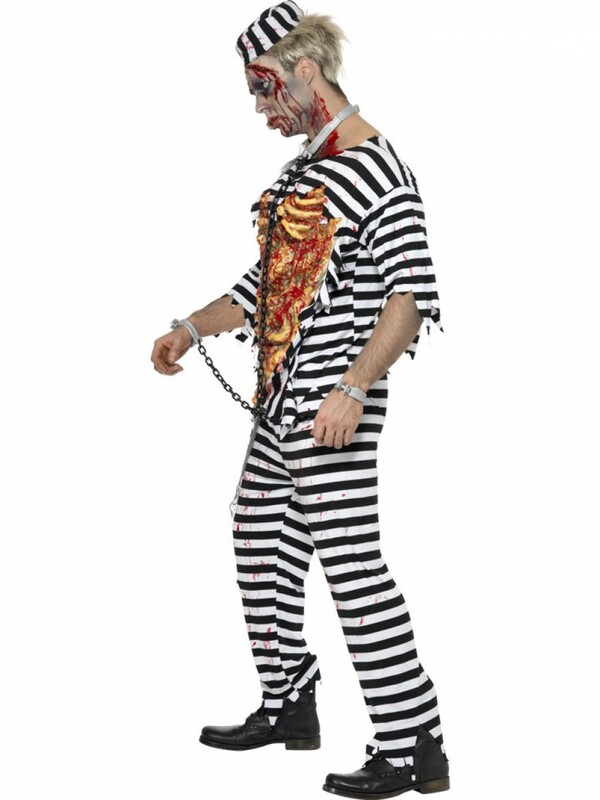 This complete Zombie Convict Costume is sure to make you stand out this Halloween with its gory open chest design and bold stripes! The costume includes Top, Trousers, Chest Piece, Hat and Chains for a brilliant look this Halloween. The striped top and trousers have a classic black and white wide stripe with jagged hems and a blood splatter design to create the dishevelled Zombie look. The detailed latex chest piece instantly creates a gory look with its guts and blood design. The convict chains are also included which fasten around the neck and wrists to add to this Zombie Convict design. Last but not least, a co-ordinating striped hat perfectly completes this Zombie Convict Costume! 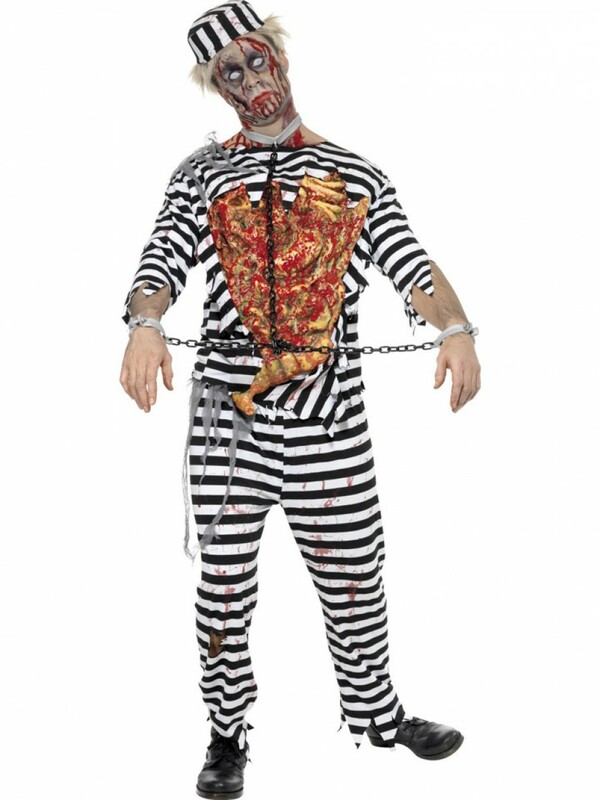 Zombie Convict Costume with Trousers, Top, Latex Chest Piece, Chains and Hat.